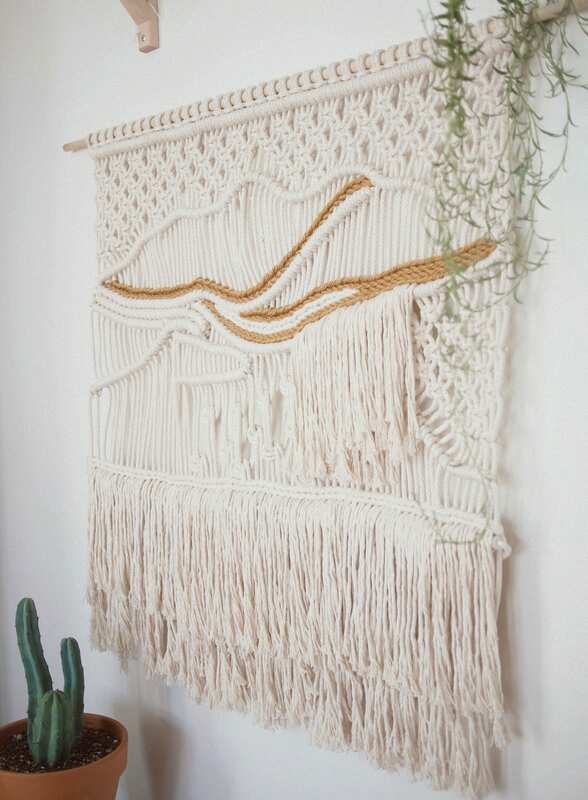 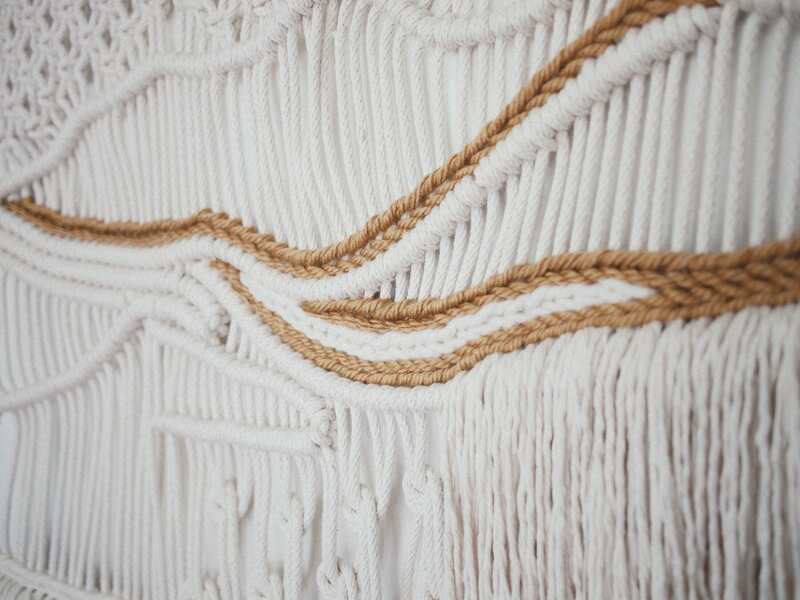 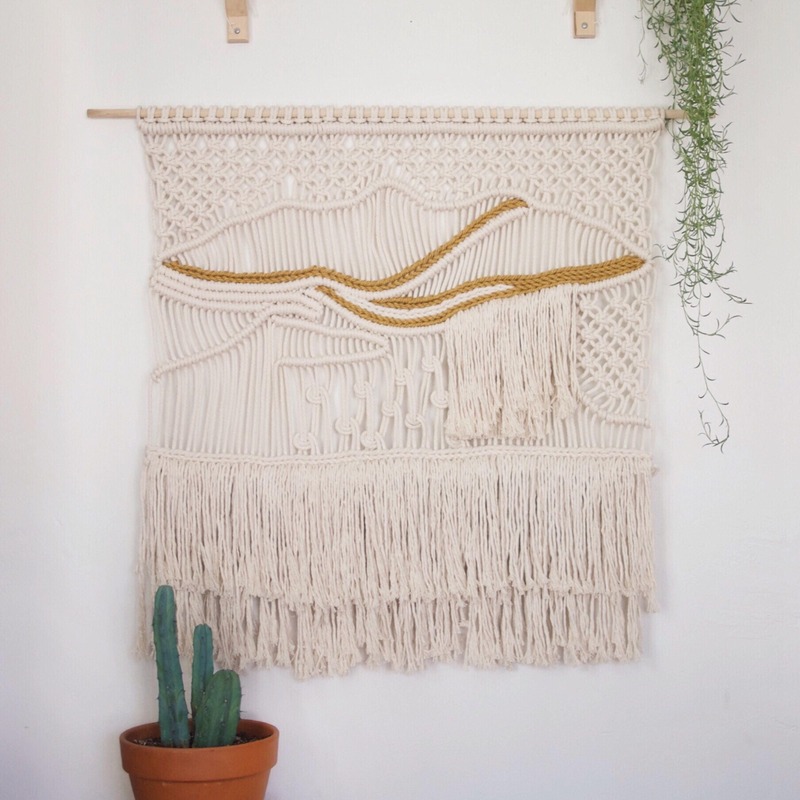 Gorgeous statement macrame wall hanging! 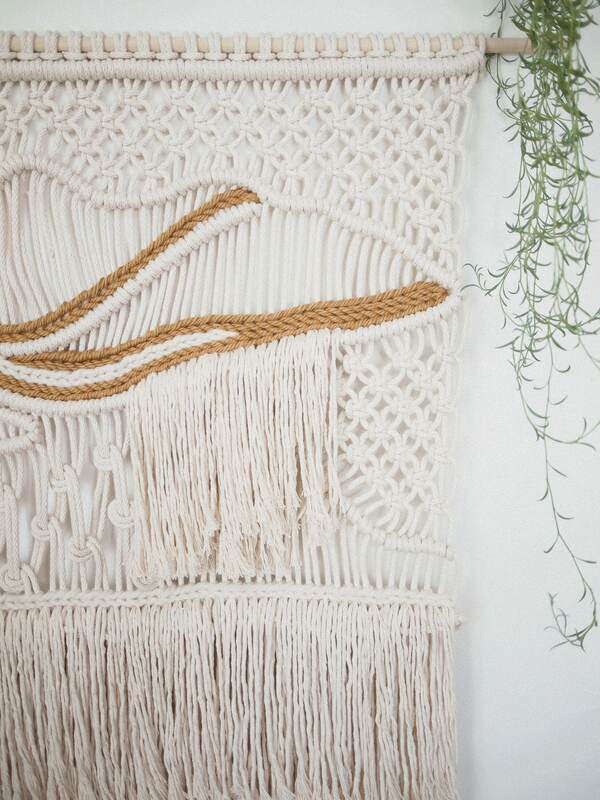 Made using a variety of all natural cotton fibers to give it a visibly textured appearance. 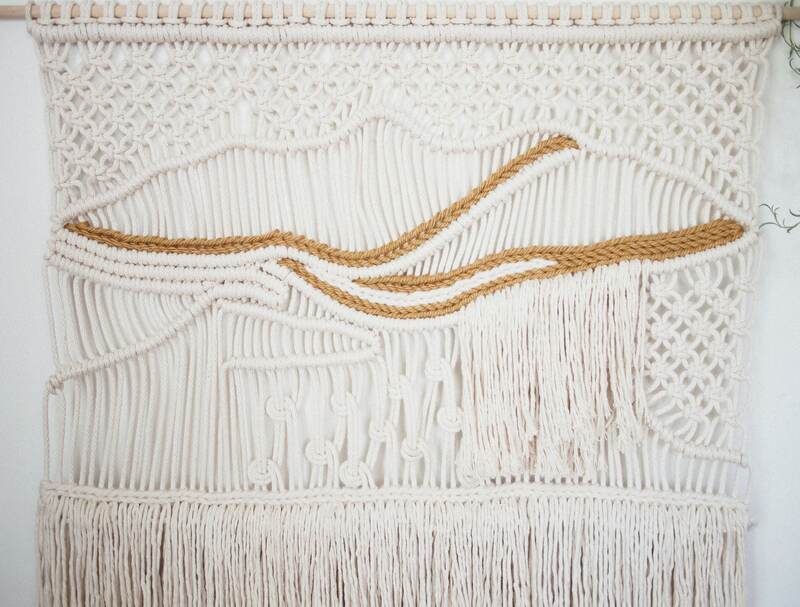 Also intricate golden brown and ivory yarn is woven through the center for an added accent.